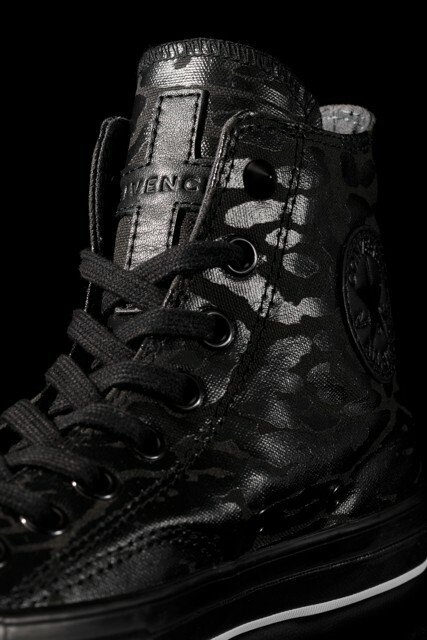 Givenchy designer Riccardo Tisci lends his unique vision to the Converse All-Star Hi. Since joining Givenchy back in 2005, Italy's Riccardo Tisci has carved out quite the niche for his designs, gaining notoriety with seemingly goth-inspired and space-age minimalism looks. 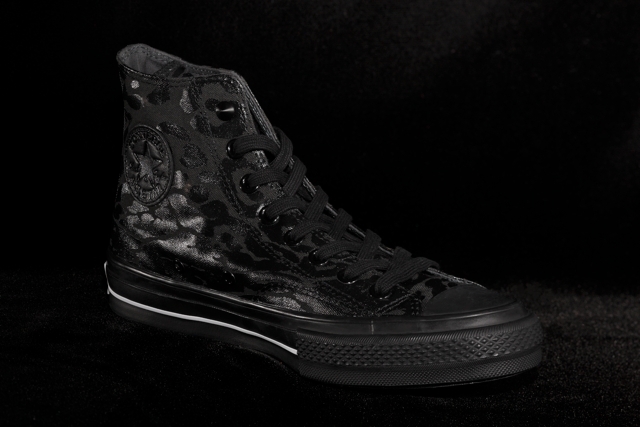 His name is on the short list of individuals being considered to replace John Galliano as head designer at Christian Dior, but in the meantime he has used his unique vision for a collaborative effort with Converse Addict on a premium All-Star Hi sneaker. The shoe features a predominantly black look, but any chances of them boasting a simple look are thrown to the wind with the use of an all-over tonal leopard print and further pushed aside with spike detailing at the heel. 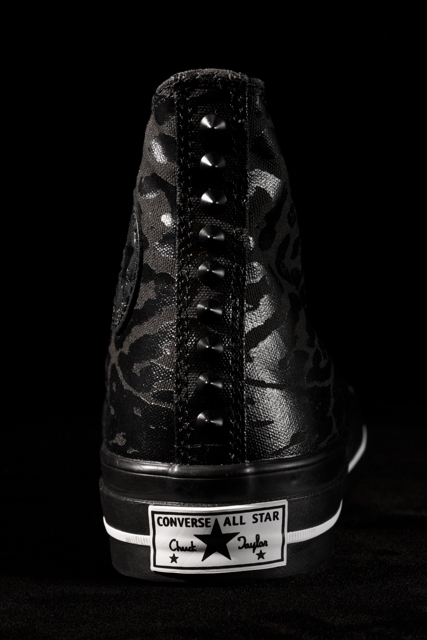 A Givenchy-branded cross is attached to the tongue, while traditional All-Star branding appears on the ankle. The lone hits of contrasting color come in the form of a stripe running alone the midsole and the rubber Converse tag on the heel. 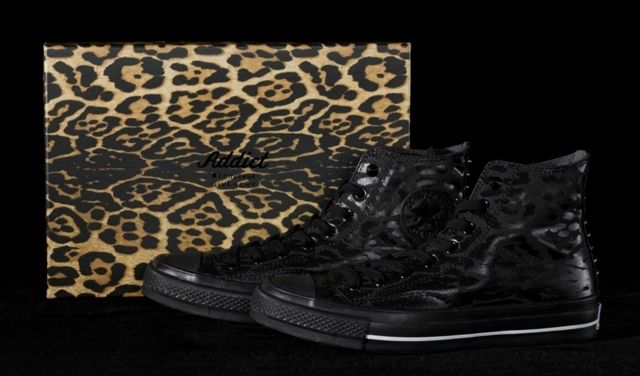 Each pair comes with a custom leopard-printed box. We'll keep you posted on any new developments regarding a release date here at Sole Collector. How do you feel about this one?